When I visited Bermuda recently, I made sure to try some or all of Rachael Ray's recommendations from her $40-a-Day Bermuda show. (I posted about it before. Click here to read.) And I have to say her Hog Penny recommendation was spot on!!! In fact it was awesome, and one of my favorite meals that I had while I was in Bermuda. When Rachael went she had the Chicken Bhuna Masala which is made with garlic, cardamom, green chilies, turmeric, tomato, coriander and chicken and is slow cooked for hours. We tried it and I'll tell you there wasn't a bite left. The chicken had just the right amount of spices which was served with a mango chutney...which paired so well with it. I washed it down with a Rum Swizzle (one of Bermuda's classic cocktails). 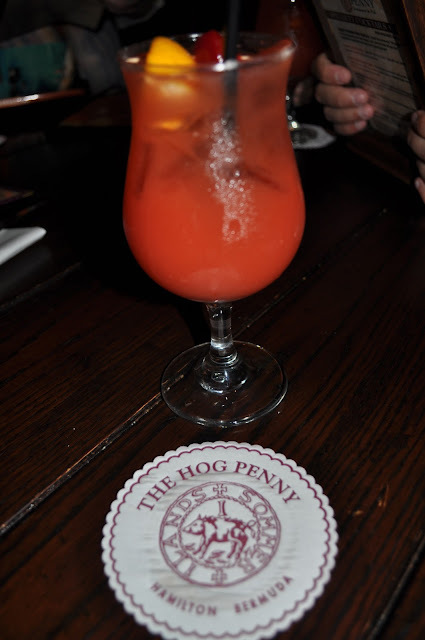 I tried a Rum Swizzle at every restaurant I ate at while on the island, and I have to say that Hog Penny had my favorite by far! It was sweet and refreshing with just enough of an alcoholic kick. We also ordered their onion ring tower (since when you are in Bermuda, one of the things you must eat is Bermuda onions). Of course it was good! But, again what is deep fried and not good, right?!? 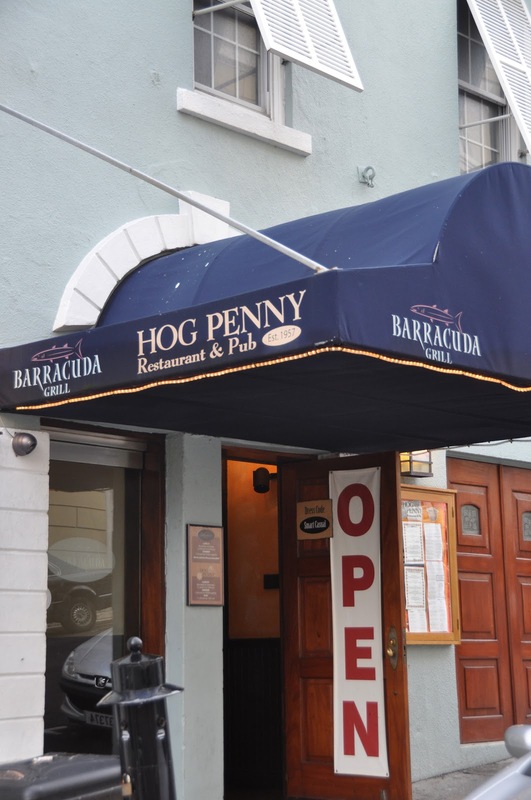 I highly recommend a visit to Hog Penny if you are in Bermuda! Rachael Ray got it right for sure!